We’ll show you how you can schedule Do Not Disturb in iOS 12 on your iPhone and iPad both in a few easy steps. 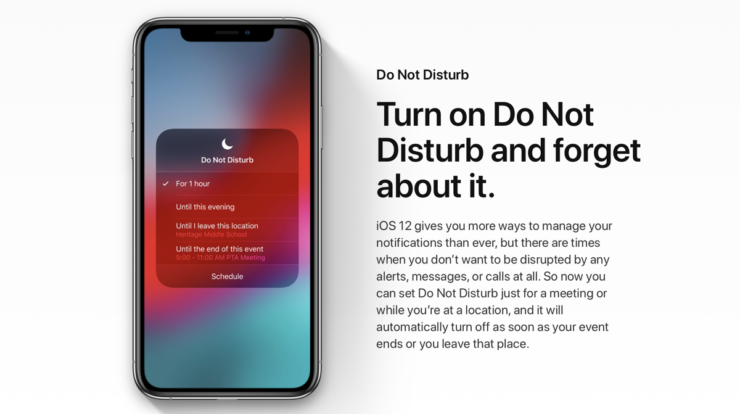 Do Not Disturb is a handy dandy little iOS feature that lets you mute the world so you can focus on more important tasks at hand like taking a nap or getting some serious productivity related work done. Just flick a switch and all notifications will be muted until you move the switch back to its original position. However, what if you just want to quickly schedule Do Not Disturb for one hour? Until the evening ends? Or maybe until you leave your current location? Yes, you can do that in iOS 12, and we’ll show you how in a few easy steps. Just pick up your iPhone or iPad and follow our lead. All set? Let’s dive right into it. 1. On your iPhone or iPad, bring down the Control Center by swiping on the top right hand-side of the display. If you have an iPhone with a Home button then you have to swipe up from the bottom of the display to access Control Center. 2. Locate the Do Not Disturb button. It looks like a moon crescent. 3. Now on your iPhone, deep press on the icon to see more options. If you have a device with a non-3D Touch panel, then simply tap and hold for a couple of seconds. 4. You’ll see three options here: For 1 hour, Until this evening, Until I leave this location. Select the one which suits your requirement best. 5. Once the requirement is fulfilled, Do Not Disturb will automatically turn off. 6. 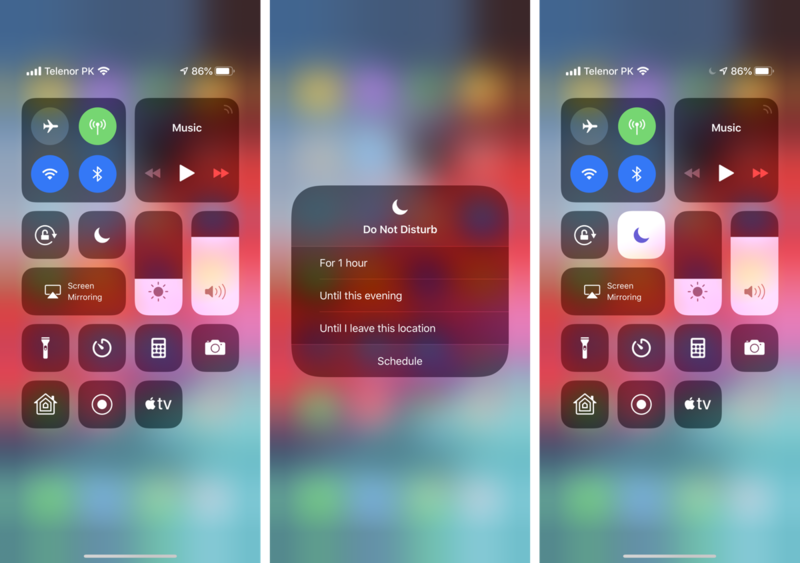 If you wish to manually turn off Do Not Disturb, then bring down Control Center and tap on the Do Not Disturb icon to turn it off. And that is how you become a Do Not Disturb ninja. We sincerely hope this little tip helps you out in the long run.